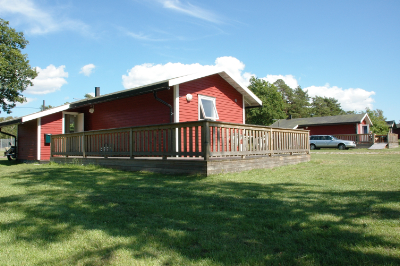 Beautiful holiday resort next to South Öland's biggest beach. This is the place to be if you're looking for a quiet and restful holiday in surroundings of great natural beauty. 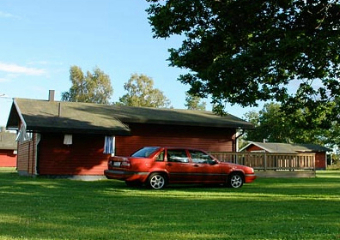 Three star campsite with modern service buildings, shop, café, playgrounds, sauna etc. Close to scenic surroundings and sights worth seeing. 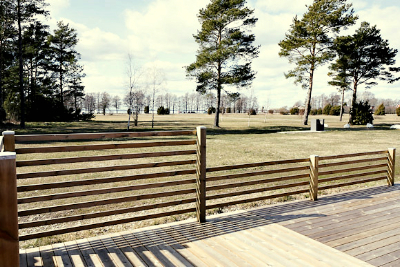 You also find activities for the whole family such as minogolf, tennis and pedal cars. The beach nearby is famous as a windsurfing paradise. Our self-catered cottages comfortably sleep six persons. The holiday village is just 300 metres from the sea and each cottage has a fully equipped kitchen, shower and WC as well as a dining area for six persons and a sofa corner with a TV. The cottages each have a lovely, big terrace with garden furniture, and they share a nice BBQ area with benches. 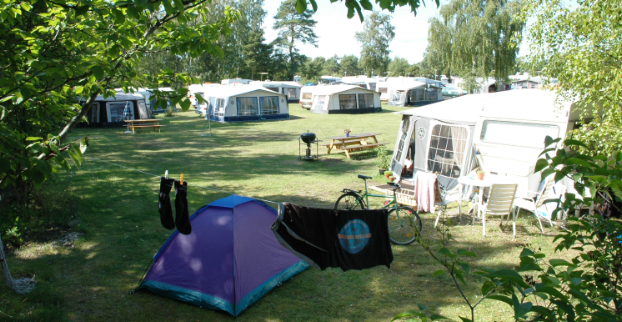 In its beautiful setting, Haga Park Camping offers everything from cosy tent pitches to large, spacious caravan sites. In the facility there are 4 camping areas, each with a distinctly different character. In all of the areas there are sites of varying size with and without electricity. 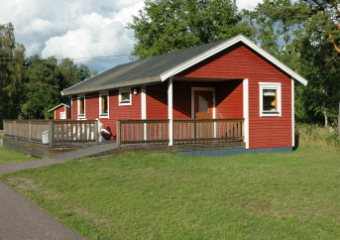 In the middle of this lush setting, there are two large service buildings containing everything that campers need. 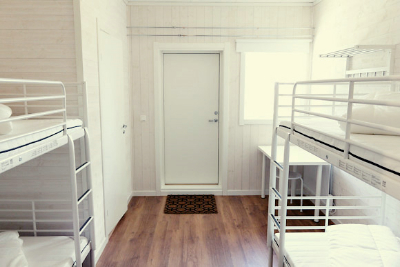 Free showers, kitchens, WCs, laundry rooms and changing rooms are among the facilities you will find here. 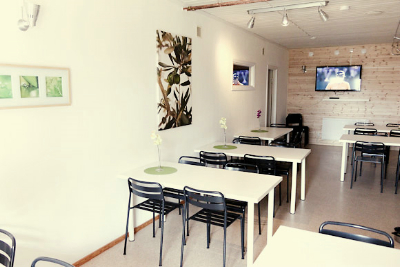 Haga Park youth hostel has comfortable accommodations in the best location only a stone's throw from the sea. 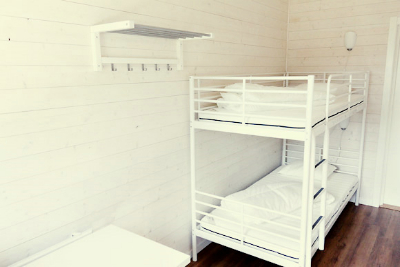 You will stay in modern rooms with two or four beds, a WC and a private patio. 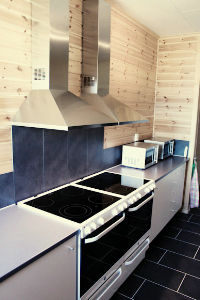 In the common spaces there are a well-equipped kitchen, bathroom, dining areas, TV room and more. 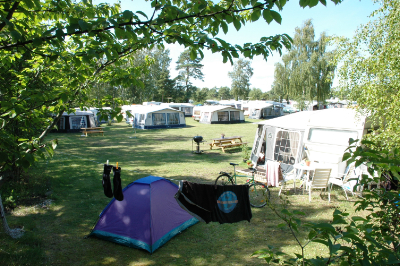 The holiday village's advantageous placement in Haga Park Camping means that it is never far to services and activities. 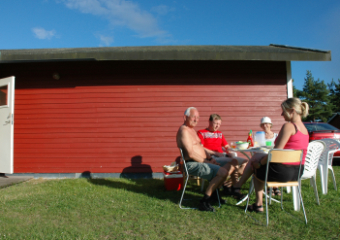 As a summer facility, naturally there is access to BBQ sites in every block of four cottages. 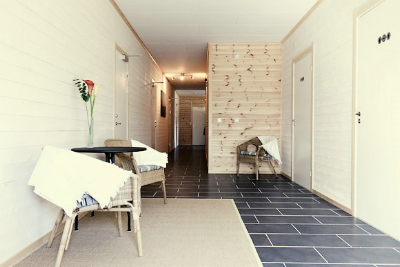 The cottages are divided into 3 categories. 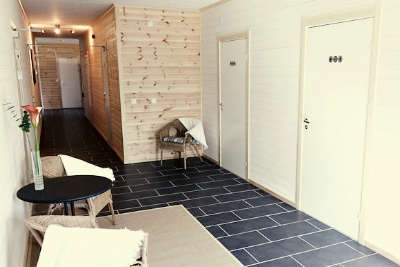 All of these cottages are of very high standards and are equipped with WCs, complete kitchens, hot/cold water, TV and a patio. What distinguishes the cottages is the number of beds, built-in showers and a large projecting patio in the southern position.